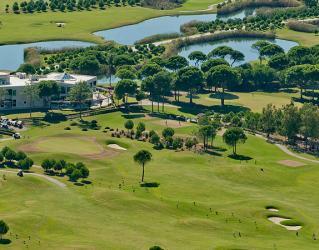 The Cornelia Deluxe & The Cornelia Diamond Golf Resort & Spa are proud of their Nick Faldo 27-hole Championship Golf Course. 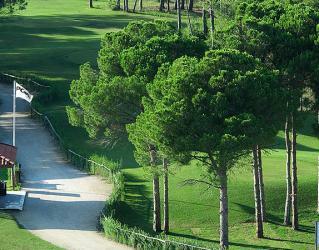 It was recently voted the 87th best golf course in Continental Europe by a leading Golf Magazine. For some, The Pasha is an inviting 5,731 meters Par 72 off the back tees and a pleasant walk in the woods, but don't be fooled by the scenery! 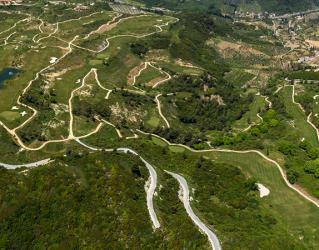 The Pasha will test the skills of high and low handicappers alike with a combination of different challenges. 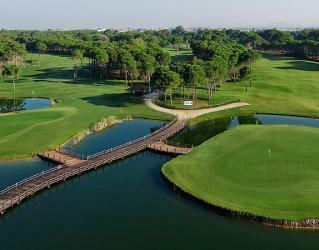 This is the one and only PGA course in Belek. The PGA Sultan beckons the heartiest of golfers to take the Par 71, 6,477 meters challenge seriously. 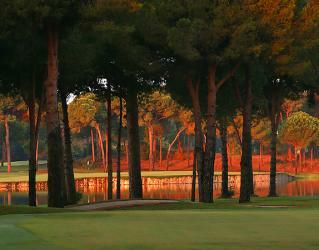 The Sueno Pines is the tougher of the 2 courses of the Sueno Golf complex measuring 6,413 meters from the championship tees. 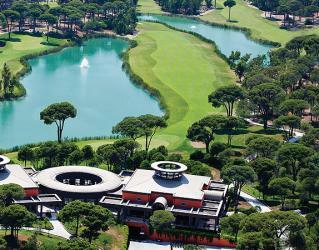 Although beautifully crafted, the designers have employed the wild shaping of a links course and a natural bunker style that offers a more rugged test of golf than its sister course and indeed others in the Belek area. The Dunes Course measures only 5,643 meters but will still punish poor play. Still employing the wild shaping of a links course, the Dunes utilises a more conventional resort bunker style thereby setting an easier challenge. Fairways are a little more open and approaches are shorter. 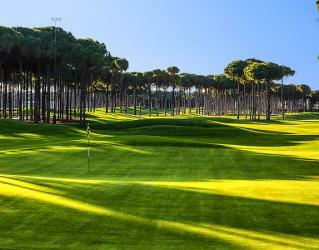 The Peter Thomson designed (TPL) Carya Belek Course is the newest addition to the variety of courses here. 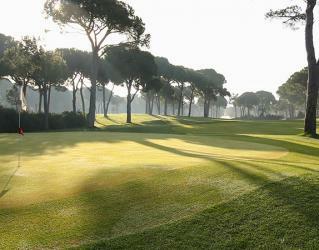 Its plot is one of the biggest allowing for a long course with challenging holes and a variety of terrain. 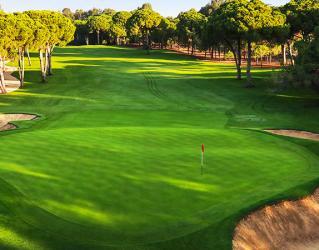 The course has a beautifully dense forested feel to it, and on some holes you cannot see another fairway or green. The old course was re-shaped to accommodate the New Course but is still as challenging as ever. Much like the Old Course, only shorter and more open, the Gloria New Course held the European Seniors Tour in May 2007 and it was a big success. 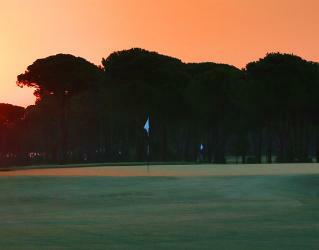 Off the pro tees the course is not as forgiving as the forward tees but it is one of Belek’s shorter courses. The Gloria Verde, a 9-hole course opened in October 2001, was a much needed additional course with the increasing demand on tee times on the Gloria Old course. 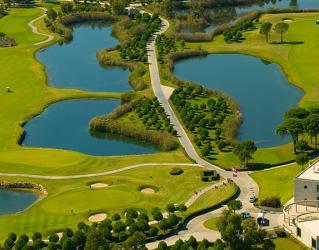 The Verde course can be played twice as an 18-hole round or just once, together with 9 holes from the Championship Course. 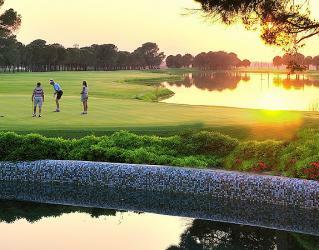 The National Golf Club is Belek’s oldest course and still one of the favourites of Belek regulars. 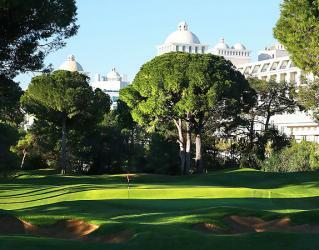 In 2013, it hosted the Ladies Turkish Open for the 5th time, an event of the Ladies European Tour in which Laura Davies, Christina Kim and Mellissa Reid have all played. 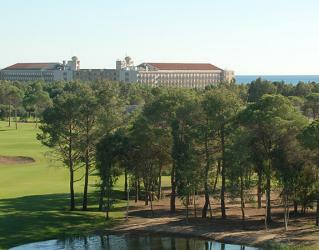 Lykia Links Antalya is located directly by the sea outside of the resort of Belek. It is one of only 300 true links golf courses in the world taking advantage of nature's landscape and providing a totally different experience to what is on offer from other Belek courses. 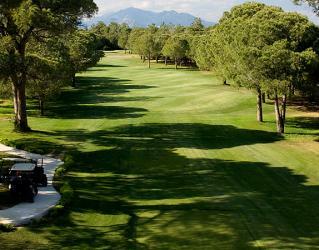 Dave Thomas has masterfully created a pleasurable golfing experience at the Nobilis Golf Club. 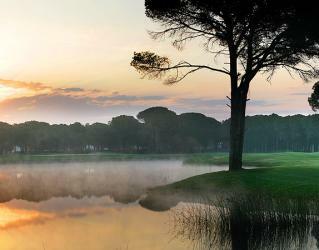 The course has been created within the natural pine forest that borders the Acisu River flowing through Belek which comes into play on a number of holes.